Lake of Egypt provides plenty of early season crappie action. 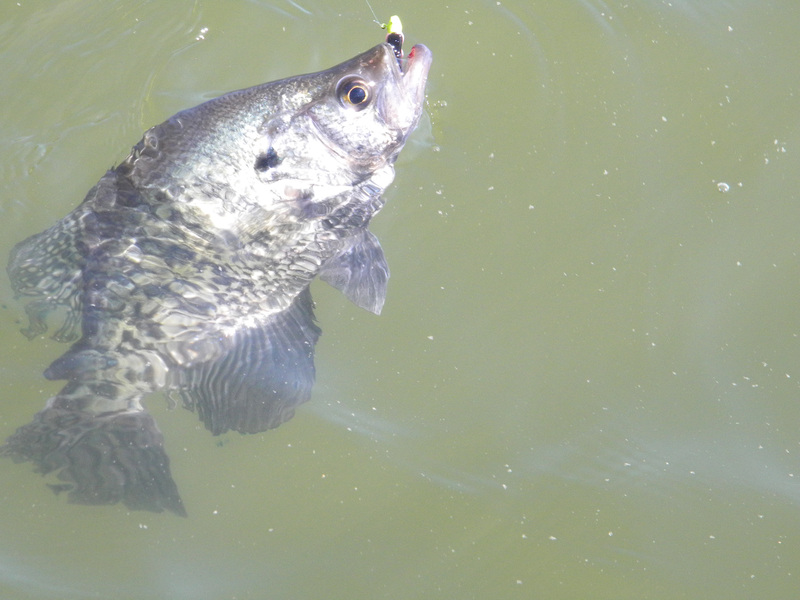 Located about 10 minutes south of Marion, IL, it provides challenges for the crappie angler. Local anglers fish for crappie all year if there is no ice on the lake. A power cooling lake ice is somewhat of a rarity. It is a matter of knowing what type of cover the fish relate to under specific weather conditions. On Lake of Egypt, the water temperatures are warmer than other lakes in the area. It is a cooling lake for the power plant turbines. The fish relate to structure but it is different structure than is usually found in crappie lakes. The lake has a variety of structure and vegetation from creek channels, rip rap, fallen timber, stumps, roadbeds and weed flats. This 2,300-acre lake has 93 miles of shoreline with a maximum depth of 52 feet and an average depth of 19 feet. When the crappies of Lake of Egypt are deep, finding them can be very tough. Casting jigs tipped with minnows to the outer edge of the weed lines in search of crappie suspended there is the most popular pattern. A favorite rig is to suspend a jig about 2 1/2-feet beneath a float. Then mooch the jig back to the boat in deeper water. The fish tend to relate to wood if they can find it in deeper water. Anglers find suspended fish over wood in 12 to 18-feet of water. Locating wood is problematic. The lake they are usually conceals it beneath the surface. Egypt is a lake with many necks and coves. Points at the main lake coves often have brush and will hold fish in spring. To stay on fish in deeper water you need electronics to stay on fish and to get a minnow down to the right depth. Local anglers sometimes use light line, seldom exceeding 4-pounds test. They lose less tackle with the light line but catch more fish with 2 pound test. Resident anglers like to cast Road Runners with re heads and white bodies in the 1/16th and 1/32nd sizes. They also have good luck with hot pink jigs and occasionally fishing a minnow below a float on the weed lines. 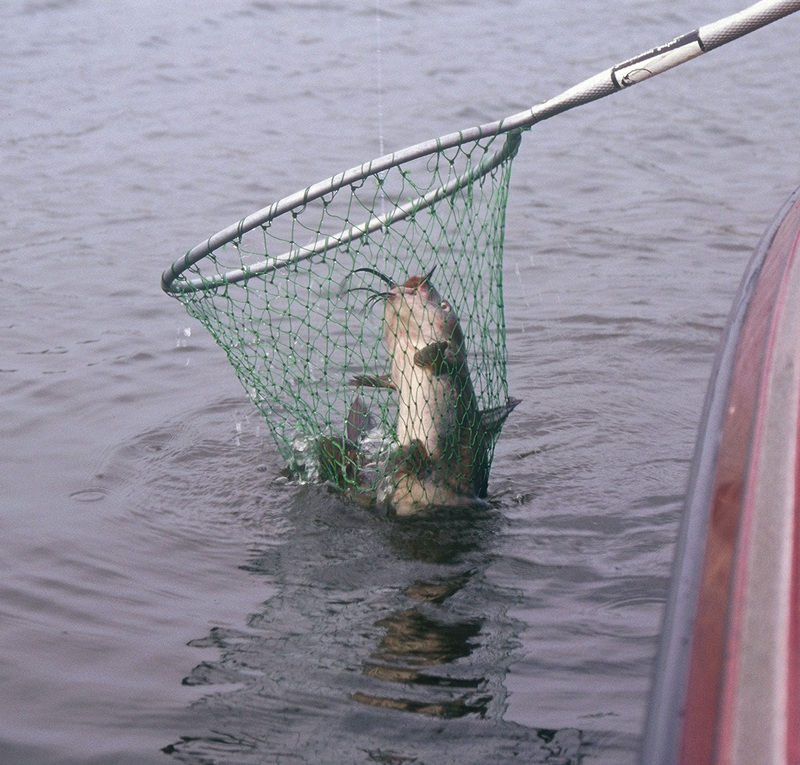 A staple of crappie fishing, the jig and minnow combo is also popular on this lake. It can be cast to weed lines and jerked slowly back to the boat or dropped vertically into the crappie’s strike zone. Water temperature effects the location of the fish. The power plant at the north end affects the water temperature of that portion of the lake. A north wind will usually push the warmer water over the weed beds. Most anglers begin their day on the lake at the discharge and work south. The warm water attracts bait fish and the crappies follow. If the power plant is down, the fishing slows. If the water temperature is in the 50’s the fish will be in a transition period. If they are not yet in the weed lines one can look for rocky breaklines and woody areas on the east side of the lake. Sunny coves on the north end of the lake are also a good place to look for fish. The best fishing seems to come in the early morning and late afternoon. When fish are deep the crappie rig of sinker on the line below two hooks can be deadly at locating the proper strike zone for feeding fish. On warmer days one can switch to a wood pattern. In spring frontal systems pass through southern Illinois. They are full-fledged cold fronts that blast down from Canada to collide with moist warm air masses pushing up from the south. This combination can cause severe thunderstorms and accompanying lightening. Anglers need to pay attention to these conditions, as they can be deadly. Fish are more “catchable” just prior to the passing of one of these cold fronts. Although they are still popular the jig is not as dominant on the professional bass fishing circuit, as was once the case. With the advent of pitching and flipping, the jig was a natural lure. According to BASS pro-angler Kelly Jordan most anglers today are flipping and pitching tube baits. He maintains they catch more fish. A while back we sat down on the deck of his Skeeter bass boat to discuss this issue. Jordan prefers soft plastics most of the time. He likes the Lake Fork Craw Tube as it has produced a lot of his income in tournaments. The many bites he gets with this tube have made it his go to lure. The bass angler uses a salt and garlic impregnated tube for dragging matted grass, in timber and rocks. He does report that his friends use it to catch smallmouth bass in the Great Lakes. “A jig has its place,” says Kelly, “but the reason I like to flip a tube over a jig is that the tube falls better.” He finds that in cold water the jig gets better action. Throwing a tube, however, is a little more weedless. Sometimes you can get them through the thicker stuff. Using a Texas-rig, you can use a larger hook. Jordan puts a really big hook in them to increase his landing rate on really big fish. Speaking of landing big fish, Jordan has an interesting theory on bass bites. Anglers usually set the hook instantly when they feel the thump. When a fish picks up a lure and begins to move with it, you see line movement. The fish has already had it for a second or two in order to get a full grip on it. Jordan maintains that this is the time when one really wants to wait and let them load up on you to take the slack out of the line. Then set the hook. Here is why. In fishing a plastic jig, look where your knot is on your hook or jig. A lot of the time when you land a fish the knot is on the back of the eye. If you’re fishing Texas-style or flipping a tube it will be on the hank of the hook. The knot may be next to the shank of the hook on the backside of the eye. It is where the gap is on the ring of the eye. What causes that? As a fish thumps the lure hard or eats a minnow it is always head first. When bait is falling they always get them head first. That means your hook is facing the back of their throat. The bend in your hook is against the front of their mouth. 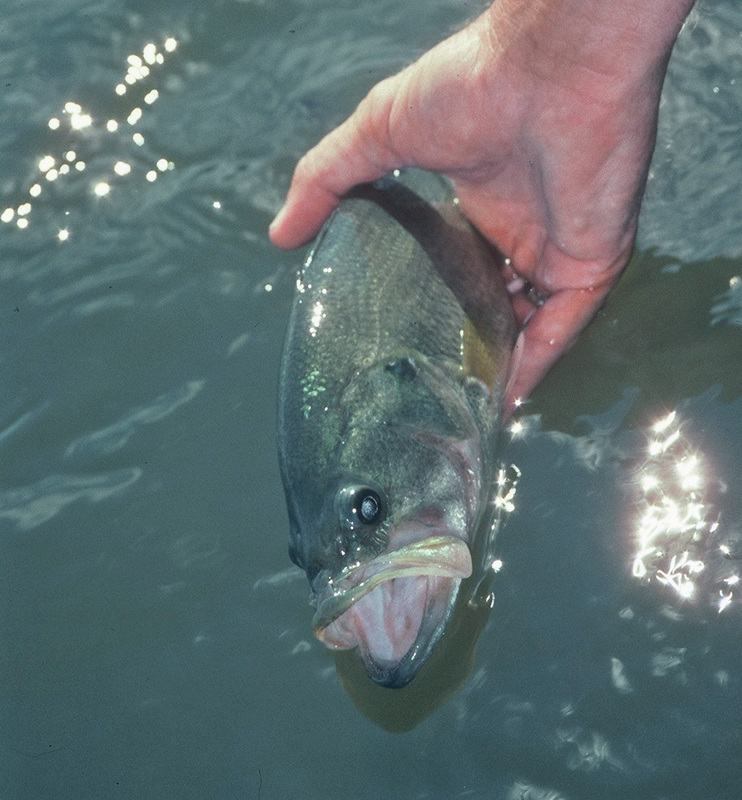 The weight on a Texas-rig, flipping tube or head of a jig is usually farther back in their throat. You set the hook, it pulls that knot right around. When you are fighting the fish it is pulling straight up. What your lure has to do is turn around and hook them. If you set the hook on a really hard thump you miss the fish. You just jerked the lure out backwards. If you let the fish load or have it for a second and actually get just a touch of pressure you can actually turn that lure around in their mouth when they are chewing it. A lot of times when you hear someone say they had a fish spit it out they do not known the fish was there until too late. Jordan is not talking about counting to ten. Let them load on you maybe 2 or 3 seconds. Get a little load pressure if you are having trouble hooking them, especially if you are getting that hard thump. He explains if he gets a bite, he lets them pull down. That makes sure he gets maximum hook penetration. You get it when you hook is in the right position to get them. Jordan maintains that you get a good hook set almost every time and you will hardly ever lose a fish. It is especially true in a heavy cover situation if you just let the fish pull down. They are just not going to let loose of the lure. In practice, Jordan will cut off the hook of a jig or fishes soft plastics, like a tube, without a hook. He finds it great practice because he can pitch it into a brush pile and nasty stuff. He does not get hung-up unless the line wraps around something. You can fish faster and then when you do get a bite you can actually lean on them. You are not going to hook them even if you try. You can pull them up to the top half the time and if not, you sure can feel how big they are. Practicing without a hook is an eye opening experience of the habits of bass. When you find out just how long a bass will hold your bait it will blow your mind. It will amaze you to play a fish when you are getting a lot of bites. Jordan finds he learns much about how fish hold a bite. You will not believe how they will hold on if you do not pull too hard. You can actually walk them like a dog. They will hold on to the lure for 2 or 3 minutes. You can follow them out into the lake with your boat. They will fight you for that lure. He has had them boil around a stump and does not even have a hook. They are fighting that lure. To catfish anglers Baldwin Lake offers some prime water. A cooling lake for the power plant, the lake provides an active growing season all year. Home to channel, blue and flathead catfish, it also contains a good population of bluegills and crappie upon which the larger fish feed. Recently it was closed due to a valve being accidently left open and affluent being dumped into the lake. However today word has been received all is OK and the lake is open again. Located about an hour southeast of St. Louis in St. Clair and Randolph counties, Baldwin Lake is about 3-miles north of Baldwin, Ill. Prime fishing location is near the levy at the hot water discharge. Most of the south half of the lake closes in the fall as a waterfowl refuge. The average depth of the lake is about 8 feet. It is a perched cooling lake actually owned by the Illinois Power Company and leased to the IDNR for management of the fishery. The lake is 2,018-acres in size with 15 miles of shoreline. A perched lake is one that is higher than the surrounding countryside. As such it is susceptible to windy conditions in winter and spring as weather fronts pass through the area. Anglers need to get off the lake in such conditions, as the waves can become quite a problem. The access to the lake for bank fishermen seems to be very limited and probably not really the best of fishing locations. Bank fishing is limited to the west and north sides of the lake. Most of the shoreline appears to be in control of the power company and off limits. Boaters have more flexibility to choose locations around the lake. Boat motor restriction is a maximum of 50-horsepower. The warm water is home to an extensive shad forage base. Both threadfin and gizzard shad are present. Illinois lakes experience heavy die off of shad in the fall as temperatures fall below 47-degrees. The burgeoning shad population in Baldwin Lake provides great forage for the predator fish of this lake. The blue catfish are abundant with an average size of 8-pounds. Channel catfish are extremely abundant with the average fish weighing a half pound. The flatheads average 4.5-pounds. Other fish located in the lake are largemouth bass, smallmouth bass, hybrid bass and longear sunfish. Every year in February and March as the gloom of winter subsides and deer hunters begin to get cabin fever, it is time to go deer hunting again. One can hunt deer in the spring. Not the kind of hunting one does in fall but still it is hunting deer. 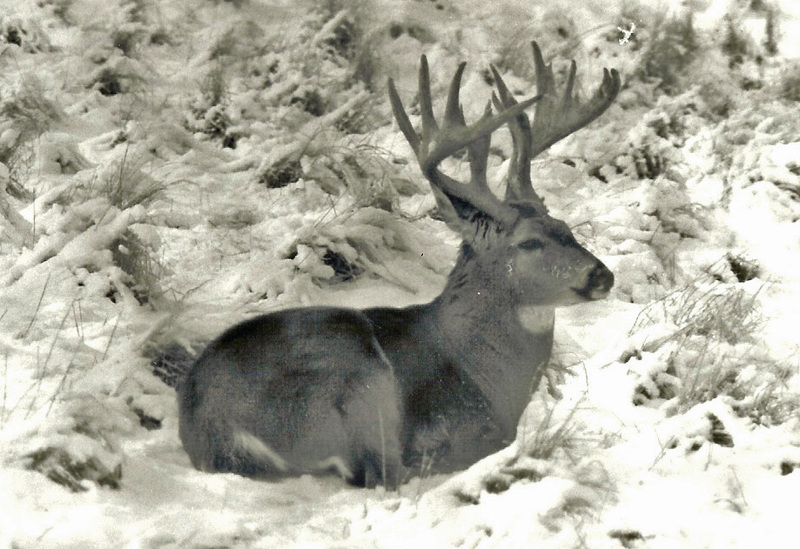 Deer activity tells a lot about what the upcoming season some eight months away will be like. Spring hunting takes place before the undergrowth gets thick and covers much of the signs of deer activity. It is possible to observe the animals from greater distances than is possible later as the trees and bushes green up. If you have exclusive hunting rights to a piece of property you can check permanent stands and clear shooting lanes. Lanes cleared in spring allow the deer to become accustomed to the environment before the beginning of the fall seasons. Repairs made become old hat to deer by the end of summer. Changes made in late summer may spook game from the area. Early spring hunting is an opportunity to find shed antlers. All too soon, antlers rodents consume discarded antlers or vegetation covers them. A shed provides one with an idea of the size of the bucks that made it through the season and winter. The buck who dropped the shed is probably still in the area or at least his genes are in the local gene pool. Spring is a good time to be acquainted with land owners. They are not too busy yet with the planting and not harassed by people wanting to hunt their land. The land owner may even take time to tell you where they see game on their property. They might be in a better frame of mind to grant you permission to hunt next fall after getting to know you now. If you are not familiar with the piece of land then now is a good time to become acquainted. Make a map of deer activity. Mark sightings of deer, which way they are traveling at what time of day. Note feeding and bedding areas. Scrapes and rubs from last season will probably be active again next fall. Note their location. Use of the map in fall will cut down on the need to explore the area in fall prior to the season beginning. This cuts down on the stress to the deer. If you are not map making inclined, then purchase a local map of the area from local governmental offices such as the recorder of deeds or highway department. Detailed notes are important. You might also interview land owners, postal workers and others who regularly pass through the area. Not on your may their sightings and the time of day. Do not leave anything to memory. If hunting public land you may find others have put up stands in the area you planned to hunt on a given day. If you have your map, it is possible to move to Plan B. If you have escape trails on the map you might move your stand to one of them and let other hunters pressure deer to you. So do not just sit there. Pick up your binos, get some hunting clothes on and go hunt some spring whitetails.